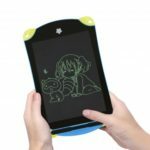 This CHUYI 8.5 inch Cartoon LCD Writing Tablet is crafted with durable, shatter-proof, non-toxic plastic, without any harm to health, safe for the kids to draw. With special technology, effectively protect the eyes so the kids won&apos;t be easy to get tired when using the tablet. 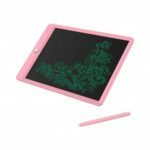 Cartoon 8.5 inch LCD Writing Tablet, a great gift for kids and children, enhance the kids hand-on ability and stimulate their creativity. Made of durable, shatter-proof, non-toxic plastic, without any harm to health, safe for the kids to draw. With special technology, effectively protect the eyes so the kids won&apos;t be easy to get tired when using the tablet. Easy to clean and maintain. Write or draw with the included stylus or any other suitable instrument, even your finger. Enhance the kids hand-on ability and stimulate their creativity. 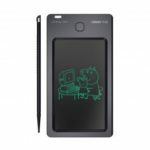 Cartoon 8.5 inch LCD Writing Tablet, a great gift for kids and children. Easy to store in your briefcase, daypack, luggage or backpack, do not worry about losing. 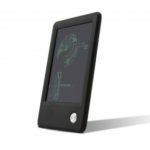 Erase images or words with only one touch of a button. 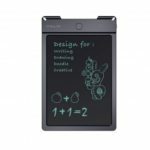 Rewritten times up to more than 50000 times, which will save millions of paper with this rewrite Cartoon LCD Writing Tablet.